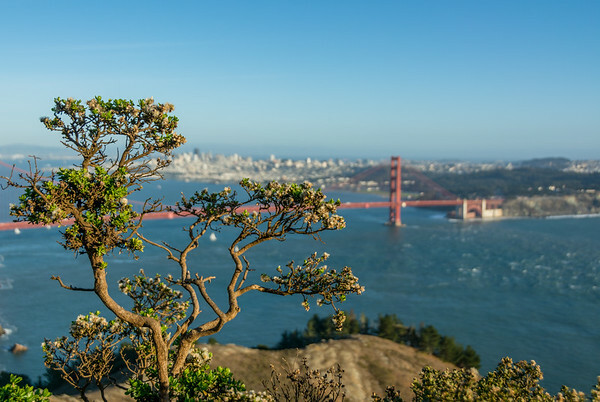 Some familiar (and not so familiar) sights from around the Bay area. This is near the spot where Kim Novak "fell" into the bay, and was famously "rescued" by James Stewart, in Hitchcock's great film Vertigo. 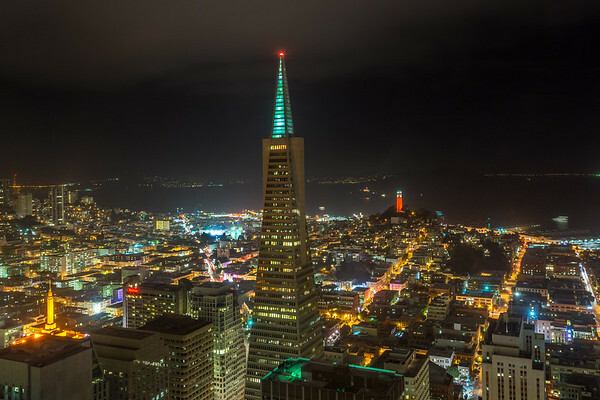 This is a view of the famous Transamerica building, looking toward North Beach. The Coit Tower glows bright red in the background. 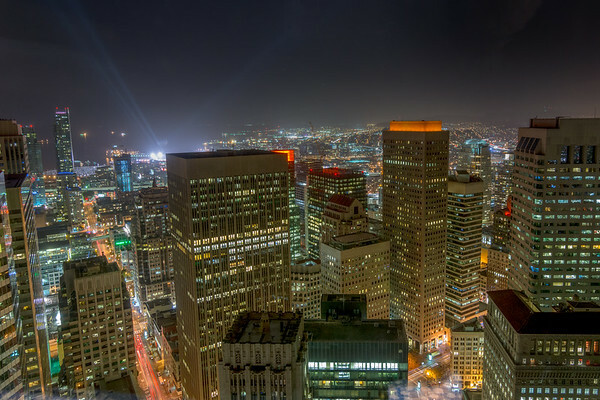 A view of downtown, looking toward Mission Street, as seen from the catwalk of the Mandarin Oriental hotel. 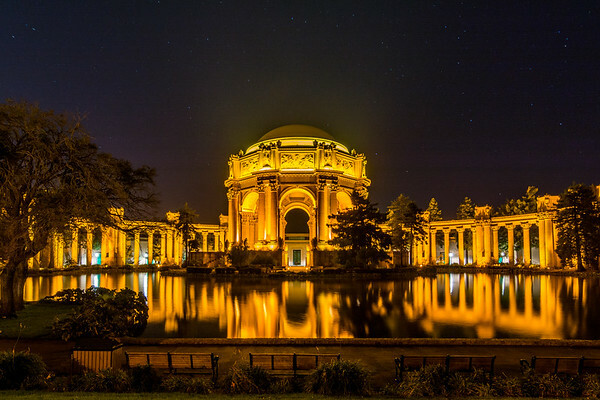 A late night view of the Palace of Fine Arts, in the Marina district. 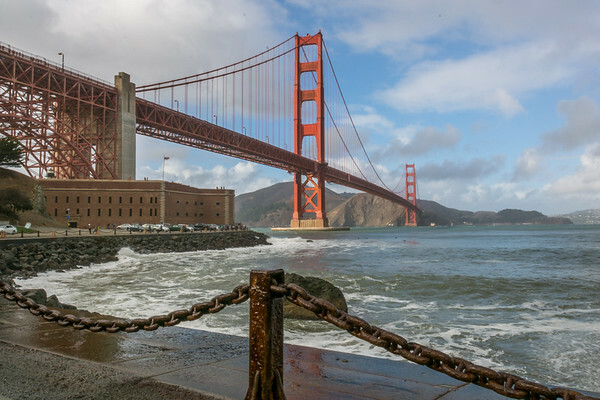 Designed by Bernard Maybeck for the 1915 Panama-Pacific Exposition, it was not built to last beyond the Exposition, and in 1965 it was completely rebuilt. I captured this image on an unusually clear, dark night, and some short star trails are visible in the sky above. 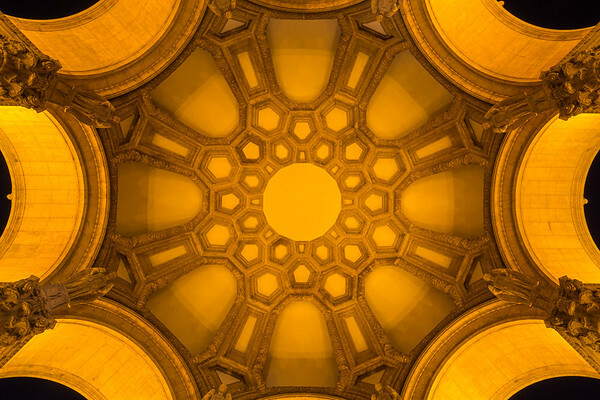 This is a night view of the ceiling under the rotunda of the Palace Of FIne Arts. Here is a Sunday afternoon view of Grace Cathedral in San Francisco, looking toward the organ loft in the rear of the church. The beautiful colored ribbons are part of an installation by artist Grace Patterson. 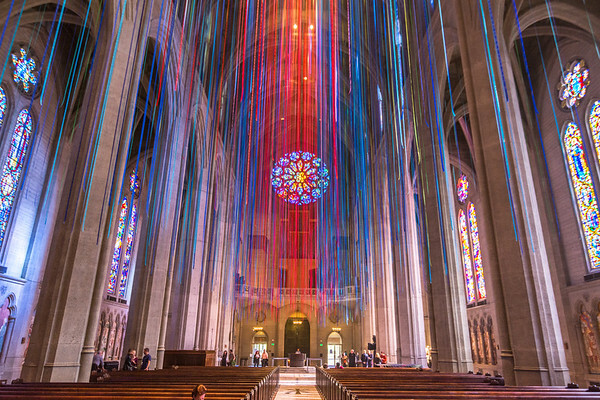 Titled "Graced With Light", the work features nearly 20 miles of multicolored ribbons that reflect the light as they hang from the vaulted ceiling of the famous Episcopal church. 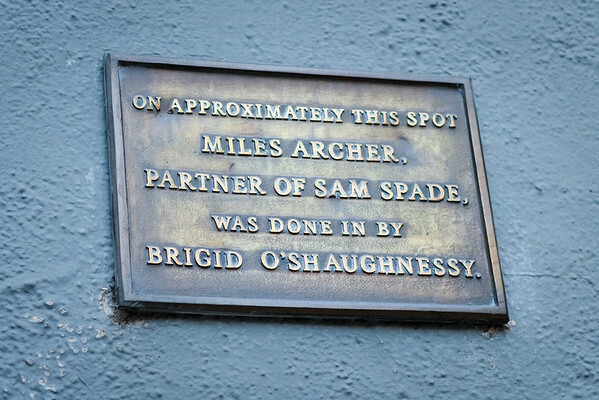 This bronze plaque, located in an alley just off Bush Street, above the Stockton Tunnel, markes the spot of a crucial plot development point in Dashiell Hammett's novel "The Maltese Falcon". There are many literary clues in this neighborhood, where Hammett lived and wrote his hard-boiled crime stories. They are a delight for fans of detective Sam Spade, and of Humphrey Bogart's portrayal of the legendary private eye in the famous 1941 film.